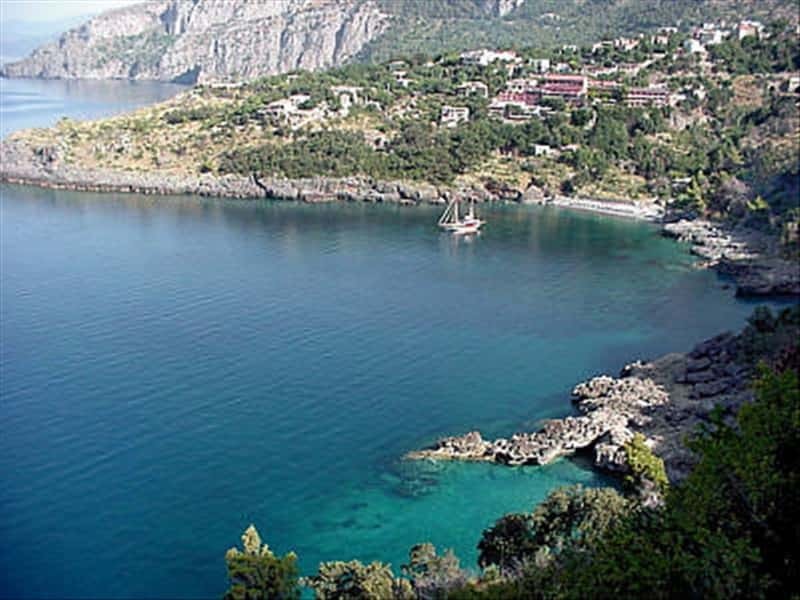 Santa Marina, in the Province of Salerno, is located at the foot of Monte Tempone in a position overlooking the Bussento valley and the central coast of the broad Gulf of Policastro, on the southern end of the Parco Nazionale del Cilento e Vallo di Diano. Santa Marina Policastro is a tourist port built on the ruins of the Greek colony of Pyxus, founded in 471 BC, which became Roman in 164 BC under the name of Buxentum and, of which, the village of Santa Marina was one of its hamlets. In addition to its scenic and naturalistic interest, a visit to Santa Marina is also an opportunity to see the old town centre and its attractions: the ruins of the 6th-century castle, the Monastery of the Observant Friars Minor (13th century) and the Churches of San Rocco and Santa Marina. Not to be missed is the Bussentino Grotto, one of the most important in the Campania region. This town web page has been visited 54,138 times.